You know what they say: it’s what’s on the inside that counts. 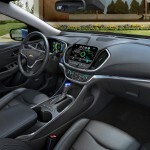 Chevrolet was determined to release a #NextGenVolt which incorporated the most desired attributes from current customers, and among the host of strictly functional improvements to the 2016 car, the interior has also been reworked into a more flowing, tactilely gentle dual-cockpit design. 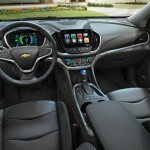 Chevrolet Design Director John Cafaro told us that as with the exterior, conveying a sense of athleticism was important. The interior panels are similarly swept-back, and wrap around both front seat occupants to contribute to a subtle sense of sportiness. 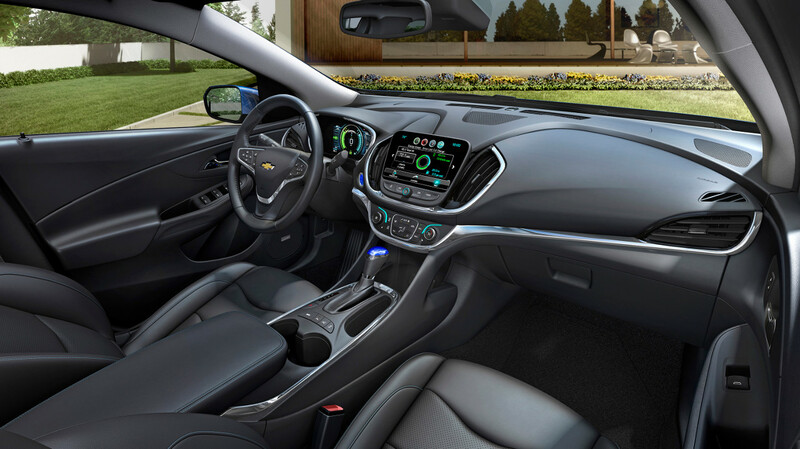 Of course, hiding the Volt’s gigantic, orthogonal T-shaped battery pack from passengers’ awareness proves challenging, so every curve in the console helps. The central portion of the console is also new, and more ergonomic. It sits atop the battery tunnel, running all the way aft to the rear seats. Unfortunately, we feel they should have planned at least a one-foot gap, as the far-rearward presence of the plastic cup holders atop the tunnel means that whoever occupies the new fifth seat is spreading their legs awkwardly over the battery pack. 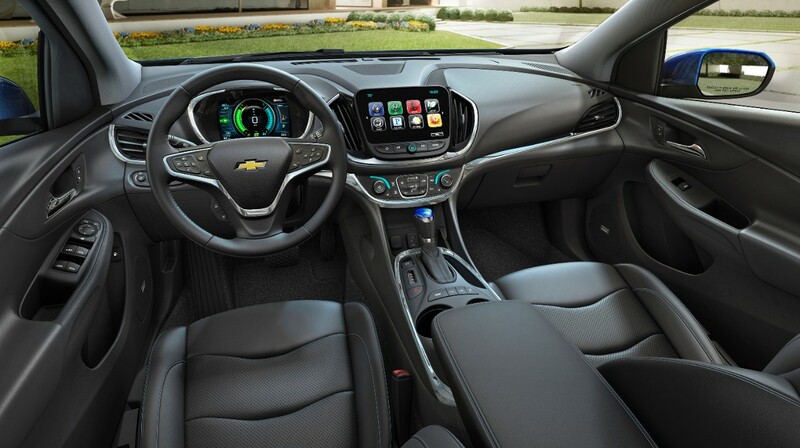 Still, despite the claustrophobia-inducing rear-middle seat and the more space age, swept dual-cockpit, the interior of the #NextGenVolt is quite approachable, fresh, and pleasant. 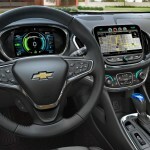 Chevrolet has learned its lesson from the previous car and moved HVAC controls out of the infotainment menus, but the dual LCDs live on in two 8-inch screens. 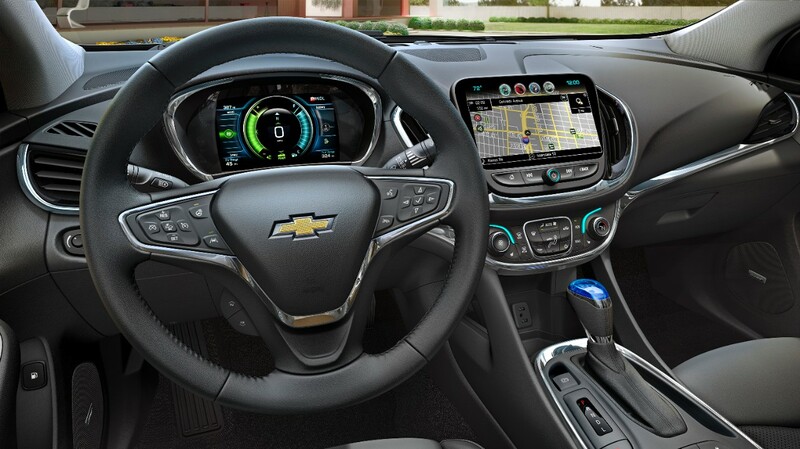 One sits ahead of the driver to emulate the gauge cluster; the other, centered one runs Chevrolet MyLink for infotainment functions. Next story Buick Avenir Concept: Hot Or Not?